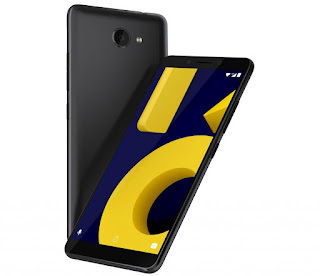 10.or has launched 10.or D2 a successor of the 10.or D smartphone in India It has a 5.45-inch HD+ 2.5D curved glass display powered by Snapdragon 425 Mobile Platform coupled with 2/3GB RAM and 16/32GB of internal storage. Dual SIM device runs Android 8.1 (Oreo). On Camera, it has a 13-megapixel rear camera and a 5-megapixel camera, both with LED flash. It has dedicated microSD slot, Lacks fingerprint Scanner packed with a 3200mAh battery. It also has IPX2 water-protection. 10.or D2 comes in Beyond Black and Glow Gold colors priced at Rs. 6999 for the 2GB RAM with 16GB storage version and the 3GB RAM with 32GB storage version costs Rs. 7999. It will be available exclusively from Amazon.in starting from August 28th, while the Amazon Prime users can it a day early. At this price point, Redmi 5 is a much better option with Snapdragon 450 chipset, metal body, Fingerprint scanner.